Provide comfort for the family of Thomas H. "Jack" Robson with a meaningful gesture of sympathy. 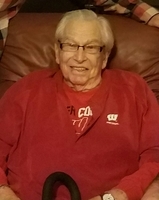 Thomas H. "Jack" Robson, 94, of Cuba City, Wisconsin, died Saturday, February 9, 2019, at Southwest Health in Platteville. Services will be 10:30 a.m. Thursday, February 14, 2019, at Casey Funeral Home & Cremation Services in Cuba City with Pastor Calvin Hughes officiating. Burial will be in Mt. Pleasant Cemetery with military honors accorded. Friends may call from 3-7 p.m. Wednesday and 9-10:15 a.m. Thursday at the funeral home. The family would appreciate if you wore your favorite sports team apparel for both the visitation and service. Jack was born on December 2, 1924, the youngest of eight children, to Templeton and Jessie (Wright) Robson. At the age of eight his father died leaving his mother to raise the family during the depression. Jack always looked up to his older brother, Bill, as a father figure. Jack was a great athlete growing up. In September 1942 at the age of 17, Donald Birkett, Clifford Steinhoff and he left school and walked to Platteville and enlisted in the war effort. He laughed about having to walk both ways. Jack was awarded his diploma some 60 years later. On his 18th birthday he found himself in a fox hole half way around the world on the South Pacific Island of Paleliu. He said the farthest he ever traveled from home was Madison one time. After the war he came back to Cuba City and married the love of his life, Patsy Birkett. They were married 63 years before her death in 2009. He went to work for John Deere Tractor Works. His first job there was roofing one of the original buildings and he stayed on for 37 years. Jack loved to hunt and fish. He played fast pitch softball on several local teams. Jack met his second true love when they opened Cole Acres Golf Course. He could be seen as the first one on in the spring and the last one off in the fall. He had six holes in one and at least four more that he didn't count. He was a true blooded Cuban Fan. If he was poked he would have bled gold. Pat and he could be seen at all sporting events, home and away. The weather didn't stop them. After Pat's health failed, he still attended all of the home events. The last few years he got to follow his great-grandchildren's sporting events. This made him young again. Jack had a special place in his heart for his two cats, Duke and Kitt. Jack was a member of the American Legion Henry Pinch Post #104, Cuba City VFW Post #8318, the Cuba City Fire Department, U.A.W. Local 94 and a charter member of Cole Acres Country Club. To Jack family always came first. He said you are a rich man if you have a good family. Left to cherish his life are a son, Tom (Mary) Robson, Hazel Green; a daughter, Susan (Tom) Straub, McFarland; grandchildren, John (Renee) Robson, Rodney (Lynee) Robson, Hillary (Eric) McAuliffe, Scott (Lori) Straub, Spencer (Angie) Straub and Andy (Marcie) Robson; thirteen great-grandchildren, Kelli, Katelyn and Thomas Robson, Blake, Drew, and Shayne Robson, Nick Leathy, Macie, Cody and Brooklyn McAuliffe, Julian Straub, Karolyn Straub, and Josie Robson; a brother-in-law, Paul Birkett; and a sister-in-law, Margaret Birkett. He was preceded in death by his wife, Pat; parents, Templeton and Jessie; a special grandson, Sam Straub; sisters, Virginia Hieser, Edna (Guerdon) Snider, Isabelle (Joe) Bowman, June (Robert) Fox, brothers, Clifford, William "Bill" (Helen), Templeton, his mother-in-law and father-in-law, Homer and Lois Birkett; a sister-in-law, Mary Ellen Birkett; and a brother-in-law, Ronald Birkett. Jack had a saying, "Life is like the game of golf. The Good Lord will let you borrow it, but he won't let you keep it." To send flowers in memory of Thomas H. "Jack" Robson, please visit our Heartfelt Sympathies Store. Friends may also call from 9-10:15 a.m. Thursday at the funeral home before the service. We encourage you to share your most beloved memories of Thomas H. "Jack" here, so that the family and other loved ones can always see it. You can upload cherished photographs, or share your favorite stories, and can even comment on those shared by others. 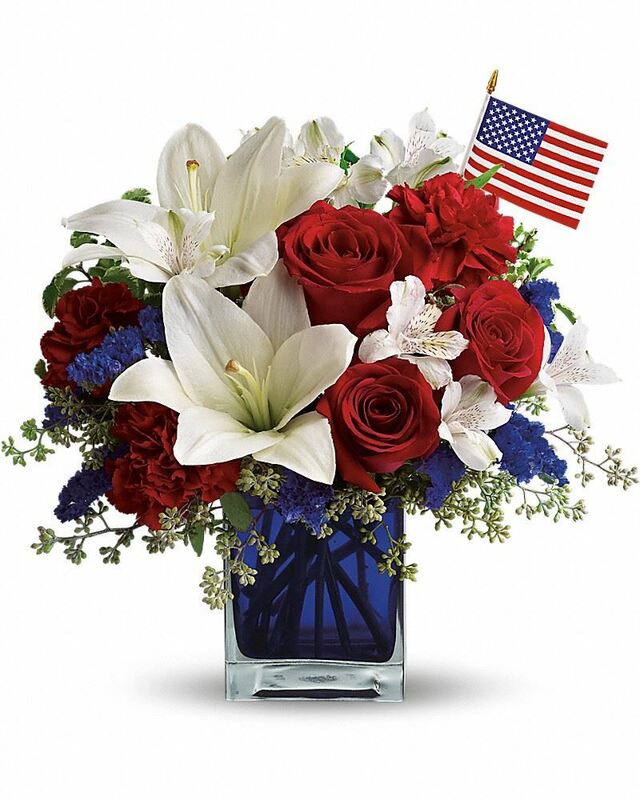 Kevin and Rose Kunkel, no signature, and others have sent flowers to the family of Thomas H. "Jack" Robson. Robson family, I was deeply saddened to hear of Jack's passing. I have fond memories growing up on the fairways of Cole Acres where I played many rounds with Jack. He truly had a heart of gold. Kevin and Rose Kunkel purchased flowers for the family of Thomas H. "Jack" Robson.